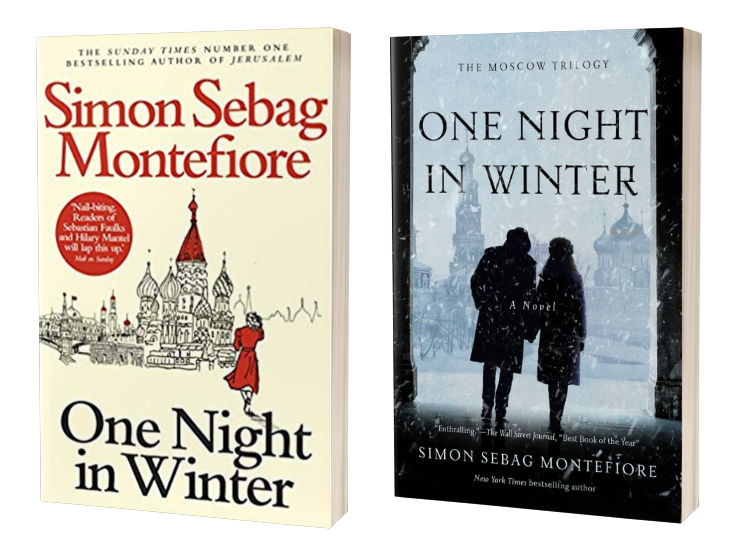 Stalin’s Russia is set to be portrayed on the small screen after EPISODES and FLACK producer Hat Trick Productions optioned Simon Sebag Montefiore’s novel ONE NIGHT IN WINTER.The book tells the story of marriage, childhood, danger, and betrayal in Stalin’s Moscow during the bleak days after World War II. The move is a major drama statement for Jimmy Mulville’s Hat Trick, which is best known for producing comedies, including Channel 4’s hit teen series DERRY GIRLS, and panel shows such as HAVE I GOT NEWS FOR YOU. However, the company has produced scripted series such as Alison Brie-fronted DOCTOR THORNE, James Nesbitt’s ITV crime drama THE SECRET and Jed Mercurio’s medical drama CRITICAL. Inspired by a true story, the series is set in Moscow as the country celebrates its victory over the Nazis. However, on a nearby bridge, a teenage boy and girl—dressed in traditional nineteenth-century costumes—lie dead. The victims are the son and daughter of high-ranking Soviet officials and they attend the most elite school in Moscow. Was it an accident, or murder? Is it a conspiracy against Stalin, or one of his own terrifying intrigues? On Stalin’s instructions, an investigation begins into what becomes known as the Children’s Case. Youth across the city are arrested and forced to testify against their friends and their parents. As families are ripped apart, all kinds of secrets spill out. Trapped at the center of this witch-hunt are two pairs of illicit lovers. The book was published by HarperCollins in 2014 and is part of the Moscow trilogy, which also features RED SKY AT NOON and SASHENKA. The deal was struck by Georgina Capel Associates. It is the latest book by Sebag Montefiore to be optioned for the screen; Angelina Jolie and Universal Pictures have optioned film rights to CATHERINE THE GREAT AND POTEMKIN, Lionsgate has optioned JERUSALEM: THE BIOGRAPHY to remake it for a TV series with THE CRYING GAME’s Neil Jordan, and THE ROYAL RABBITS OF LONDON has been bought by Twenty First Century Fox to be turned into a series of animated movies. “I am delighted that Hat Trick Productions is developing my novel ONE NIGHT IN WINTER into the TV drama series, for which it is so suited. Beginning with the shooting of two teenagers in Moscow 1945, it opens up into a secret police case against the children of one very privileged school and a passionate forbidden love affair. It’s a story of power, betrayal and love. I look forward very much for working with Hat Trick on this project,” said Sebag Montefiore.